Klaus Spallek, Crew Chief, Sparky, and Julie Wittenberg’s 1st grade students. 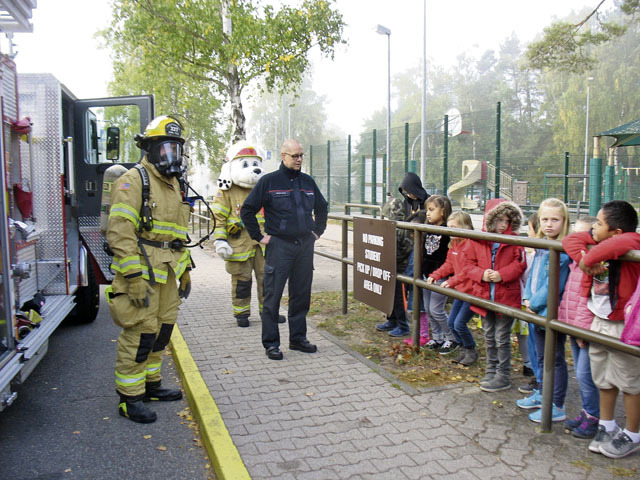 Firemen from Fire Station 4 on Landstuhl came to Landstuhl Elementary Middle School on Oct. 9. 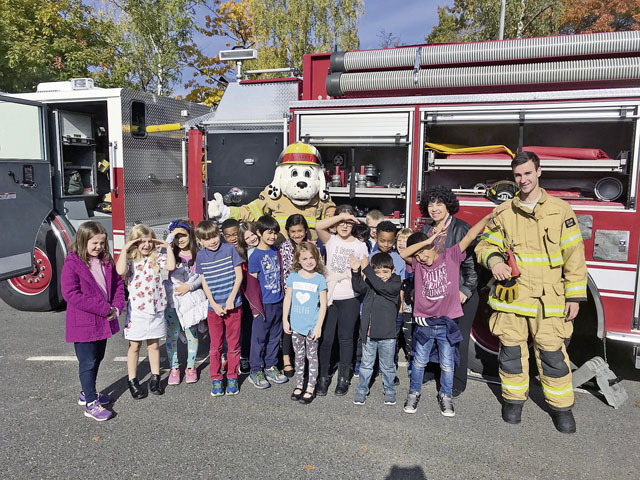 They asked the students questions about fire safety and reminded everyone about the Emergency Telephone Number 112 in Germany. 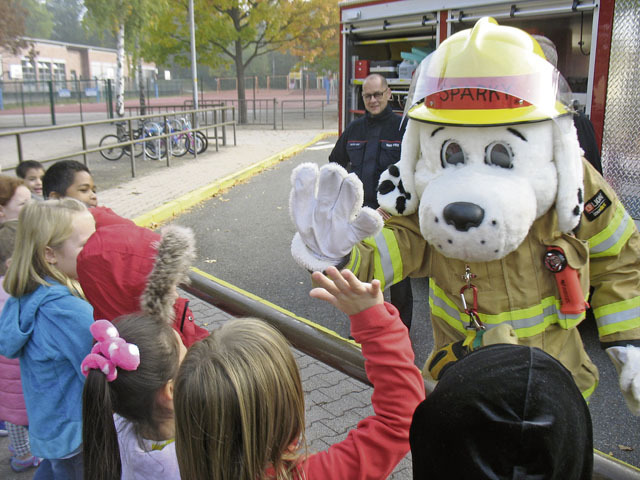 They showed Pre-K to 3rd grade students the fire truck, allowed students to get into the fire truck, explained equipment, and let everyone meet Sparky. 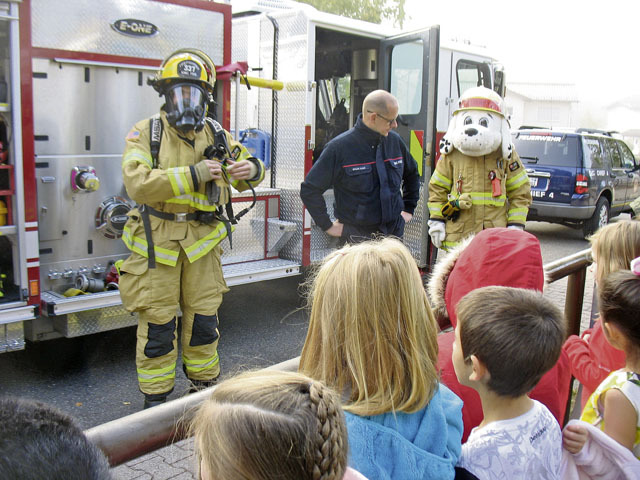 Crew Chief Florian Kranz, Klaus Spallek, Sparky, and Julie Wittenberg’s 1st grade students. Florian Kranz, Sparky, Klaus Spallek and Julie Wittenberg’s students.